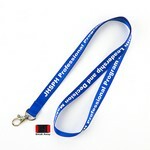 Promotion Pros is the best place online to buy lanyards for your employees who attend trade shows and other business conferences. We are stocked with nylon, silicone and polyester lanyards, so no matter what you're searching for, you'll find something that suits your needs. Lanyards help identify your business and team at company events, letting visitors easily ID who you are and what your company is about. 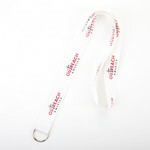 Our personalized lanyards will hang around your team members' necks as they represent your company at business expos and job fairs. 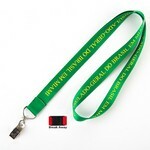 With styles ranging from tube and zipper, to break away and double-sided, our custom lanyards use color, and your company name and logo to promote brand recognition. At Promotion Pros, we offer quality promotional lanyards with your company logo at affordable prices. This customized nylon lanyard with bullnose clip is 37" and perfect for dorm living, conference networking, game coaching and so much more! 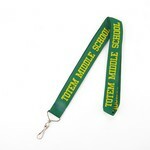 The promotional nylon lanyard with bullnose clip & break away is 37" and features a breakaway buckle clip. 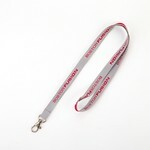 Our branded nylon lanyard with j hook & break away is 37" and features a breakaway buckle clip. 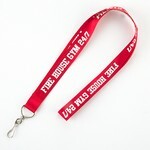 Our branded nylon lanyard with lobster claw is 37" and holds keys, IDs and more. 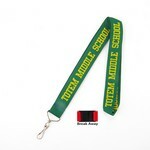 This customized nylon lanyard with lobster claw & break away is 37" and features a breakaway buckle clip. 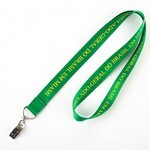 The promotional nylon lanyard with split ring is 37" long and safely secures your keys while your out and about. Our branded nylon lanyard with split ring & break away is 37" long and features a breakaway buckle clip, perfect for dorm living, conference networking, game coaching and more. 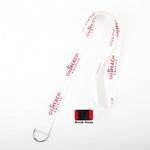 Our branded polyester lanyard with double side woven logo and lobster claw & break away is 37" long and is designed with breakaway buckle clip. 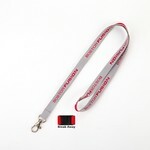 This customized polyester lanyard with double sided woven logo and j hook and break away is 37" and ideal for dorm living, conference networking, game coaching and more. 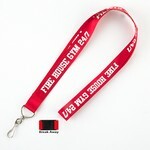 Our branded polyester lanyard with double sided woven logo and lobster claw is 37" long and safely holds keys, dorm IDs, badges and more.